Although I have a few staple hair products I love to use in my hair regimen, I don’t like to rely on them. There’s nothing more annoying than when you become reliant on a product and the manufacturers stop producing it. When I transitioned, I ran out to the shop for products as if I had really deep pockets (!) and spent a fortune on branded products that promised all sorts for my hair. These days I’d rather use items from my kitchen that double up as products for healthy black hair. I guess it’s the hippy in me that loves the fact that nature’s bestowed us with a whole load of goodies we can use to moisturise and condition our hair. Although synthetic products have a purpose too, now that my natural hair is free of chemical relaxers I may as well keep things as close to nature as possible to maintain the health of my hair. The best part about using natural products is that you can keep them in your cupboard or fridge and use them for other things too. There’s a world of natural ingredients available to us without having to spend a fortune on hair products. They’re cheap, easy to obtain and readily available. For example, you can use apple cider vinegar to make sure your hair is ultra clean and free of product build-up; yoghurt for deep conditioning; or olive oil to seal and moisturize. Some oils can even help to repel harmful UV rays. A while ago, I started using more natural products in my hair regimen and so far I’ve had some great results. My hair’s looking healthier and feeling thicker and more moisturised. Many butters, natural oils and essential oils have been used for centuries to beautify hair and skin…and I think it’s about time that we listened to the wisdom of our ancestors and started to appreciate these wonderful gifts of nature. So I’m going to do a lil’ mini-series on some of the oils I use or have used on my hair, and give you some suggestions for other oils you can use for afro hair. I’ll start with carrier oils, then talk about essential oils and other natural products. Carrier oils, or base oils, are useful for nourishing your hair. Since the scalp’s natural oil, sebum, finds it difficult to travel down from root to tip of curly hair and can’t easily distribute moisture and nutrients through the strands, it can help to use natural oils to keep your hair in good condition. Carrier oils come from nuts, seeds and vegetables. They can provide essential nutrients and vitamins to your hair – just as eating healthy foods like nuts can give you a healthy dose of vitamin E and protein, applying these oils to your hair can help to promote healthy black hair. There are a number of ways you can use natural oils for your hair. The important point is that they alone do not moisturise the hair. Instead, use them to seal moisture into the hair after you’ve applied your moisturising product. Or you can use them as a pre-poo treatment by applying a natural oil before you have a bath so the goodness can soak in – or apply some oil and wrap a warm towel round your head for a conditioning treatment. Otherwise, create your own hot oil treatment so your hair can absorb all those lovely nutrients – either heat up in a suitable saucepan or use the microwave – just make sure the oil’s not too hot or you could end up scalding yourself or damaging the hair follicles. Alternatively, use natural oils for massaging your scalp to nourish your hair and promote growth. It’s a good idea to get into the habit of massaging the scalp to keep it oiled and stimulate circulation. The scalp is a seething mass of blood vessels so regular massaging will help to distribute all those vital nutrients. There’s a lot of hype around about argan oil at the minute. It is derived from the kernels of the argan tree in Morocco and because it’s only sourced in a few places, finding a pure version of this oil can be a challenge – as well as pricey.Lots of brands have cottoned on to the benefits of argan oil – you’d think it was the new miracle oil for black hair. Nevertheless, on paper, argan oil has some great properties. It contains natural antioxidants that help to repair hair and protect against environmental damage. 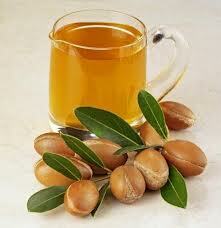 The vitamin E contained in argan oil can also help hair growth and repair split ends. It’s also high in unsaturated fatty acids such as Omega 9 and Omega 3 to improve the protein structures of the hair and restore strength. And it’s an emollient so it can make your hair shiny as it fills in the cuticles. I used argan oil for a short spell and I was quite impressed at first. I noticed a difference in the condition and feel of my hair. It didn’t strike me as anything too special though, and when I used it I’d changed my hair regime so the results may have been because I started taking better care of my hair. That’s just my opinion – lots of curlies swear by the benefits of argan oil and it’s certainly worth a try. Avocados are loaded with nutrients, amino acids, and vitamins such as vitamin A, B, D and E. Unfortunately though, avocado oil loses some of its goodness in the oil making process. That said, it retains a high vitamin E content, which can help moisturise black hair due to the fact that vitamin E is a natural humectant (it draws and retains water from the air). As vitamin E is an antioxidant it can also help protect the hair against environmental stressors and damage. Avocado oil is also rich in moisturizing plant sterols and monounsaturated fatty acids, which are said to stimulate hair growth. This oil is believed to unclog pores when massaged into the scalp – allowing nutrients to absorb deep into your scalp. All in all, this oil is reputedly excellent for penetrating the hair to moisturise, improve hair strength, stimulate growth and boost shine. I’ve only been using avocado oil for a short while but I’m already a big fan. It’s fairly thick but not too thick for my fine curls. It seems to penetrate well and I noticed how smooth my fingertips felt after I’d done a scalp massage with avocado oil. Sweet almond oil is a lovely light oil with virtually no smell. It is packed with vitamins and nutrients including vitamin A, B and E, and is rich in oleic and linoleic essential fatty acids. Almond oil is said to help with thinning hair, and is moisturising and conditioning to your follicles. It can also help cleanse the hair and scalp – the fats stick to particles and pollution and help to lift them. Use this oil before you take a bath and when you wash your hair, it will have a cleansing affect. Vitamins A is beneficial for the scalp , helping to combat dry skin conditions that lead to dandruff. Vitamin B is good for growth and cell renewal, while vitamin E can help combat UV damage and moisturise your hair. 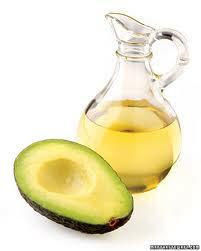 The fatty acids also help your hair retain moisture. In short, almond oil is great for a healthy scalp. It can help boost the thickness of your hair, promotes shine and healthy hair, and also softens and strengthens. You can also use it as a skin moisturiser as it’s said to be good in combating the aging process. 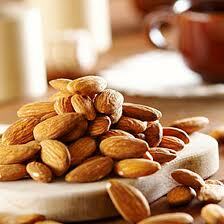 You should also aim to eat raw almonds (they’re very nice!). I like almond oil – its consistency is just right for my 4a/b coils. It’s nice and light but thick enough to seal well and have a lasting effect on my hair. I regularly use almond oil to seal in moisture or add it to my spritz when I need an extra boost of moisture. I’ll continue with some more natural oils in my next instalment, coming soon. Then I’ll move on to essential oils and other everyday products you can use to promote healthy black hair. Go to www.blackbeautyhaircareforum.org.uk to join in! If you like my article, please spread the word! Don’t miss out on our bonanza giveaway..a Huetiful Steamer!